I'm in Perth this week and can't open this page on my phone. Maybe you'd like to post a comment yourself Boronia and link this Boston comparison video which slays them. Also worth pointing out that unsupervised all-door loading is used not only right across Europe and countries like Singapore and USA, but to varying degrees in WA, SA, Victoria, ACT and Queensland and why is NSW so resistant to it when it has Australia's busiest bus services? The 333 is virtually a tram service and needs to work efficiently like one. TIA! Status quo is God to NSW thinking. It's a sad state if affairs when even car loving USA has better initiatives than Australia, especially this sleepy deluded backwater of a state. A little drama today boarding an M40 that was about 17 minutes late, stop was crowded. Firstly some pax decided to just board through the middle door and of course got completely raged at by the driver, but not even that, special princess elderly woman is walking towards the front door from the middle seat and rather rudely tells all of us to let her off first....sometimes, sorry, I really think exiting through the front door should just be blacklisted. There was a door right next to you you could’ve exited from that we normally aren’t allowed to board from and you still chose the front door. Centre doors are not always lined up with kerbs, sometimes lined up with driveways or trees, seats, rubbish bins. Both of these can be problems for elderly or less mobile, so they prefer to use the front door. ^ what about the multitude of times I have seen this disruptive behaviour when that isn't the case? What I notice as well are slow unsteady elderly passengers who amble up the back of the bus when there are plenty of seats available in the front half. These same people probably still insist on exiting at the front. Bear in mind the years of conditioning by operators and drivers to use the front door and associated uncertainty whether the back door will open or not; little wonder that people head for the front of the bus for certainty that they will be able to get off. All that Pavlovian behaviour has to be unlearned when change finally comes. Melbourne tram drivers still experience people rushing to the front door to board as a flow-on from a period of experimentation with front-door loading and passenger flow in the 1970s, over 30 years ago. Poor passenger management decisions can be quite damaging in terms of behavioural psychology. Swift wrote: ^ what about the multitude of times I have seen this disruptive behaviour when that isn't the case? If these people don't get a seat in the first few seconds, the driver will take off - usually leaving pax on the floor or struggling to keep upright. boronia wrote: I see TfNSW is now promoting the new Bondi changes on Facebook. Might be a good opportunity to make some comments about the efficincy benefits of all door boarding on the 333. That post seemed to have been taken down soon after it was posted so I guess there wasn't any opportunity for comment. I then got on another bus with just myself (and the driver) got off at my stop and since I was at the back of the bus, went to tap off at the rear door opal readers and the Driver didn't open the rear door but rather the front doors still. Think I got word somewhere a long time back that the backdoor (at least on HVB) is just another means of an emergency exit door should the front be unavailable to use. That or it comes down to driver preference but I've been on 300+ bus trips (even school buses during my schooling years) and have never really seen back doors in use on Hunter Valley buses until now. I haven't taken it in a while but I notice that the Wentworth Point Rhodes Baylink Shuttle is now using 12m buses from Custom Coaches with 1.5 doors. Of course, that's not why I'm on this thread. I'm on here because drivers allow unassisted all door boarding. A refreshing change by Sydney standards. Here's the video. The bus arrives at Rhodes station and sets down some passengers, then pulls up to the boarding stand and opens BOTH doors so people can get on using both doors. All without a marshal. rogf24 wrote: Here's the video. The bus arrives at Rhodes station and sets down some passengers, then pulls up to the boarding stand and opens BOTH doors so people can get on using both doors. All without a marshal. That's great to see, I guess it's because it's a private gig (the developer?) untouchable by the TfNSW grey blanket of suppression. It's very busy, worth adding to the list of fare-free circulators in Australia - though it won't increase the number of them because Canberra has recently gone following the restructuring of bus services around the tram. Is Telford's still the operator? It sounds like those Optares were quickly overwhelmed. It doesn't quite work as it should in that video scene for two reasons - the single-leaf centre door (poor choice of bus by operator?) and because all the poor souls have been brainwashed into queuing, so when the bus arrives, the great majority of the queue splits at the centre door and spends ages entering it single file, while only the few at the head of the queue take advantage of the front door. The way this has to work is that the crowd forms a mob up to about 10 metres back along the kerb from the bus stop sign, so that when the bus comes, they split more evenly between the doors. I guess this would be the second unsupervised all-door boarding of a bus service in NSW (after Sydney Airport Blue Emu) as all previous examples were under the supervision of a conductor or other minor official. Beaten though by WA,SA, Victoria, ACT and Queensland at least. Edit: Look at Parramatta Council pour cold water on the service and try to kick it across to TfNSW. Don't the fools realise that this would reduce the quality of service?! Last edited by tonyp on Wed Nov 14, 2018 8:47 pm, edited 1 time in total. I agree, the single leaf centre door and single queue really kills it, the all-door boarding was great but those other 2 things really reduced the benefits. I don't think the Blue Emu gets really busy so this is probably the best example of an intensive all door boarding service in NSW. It's great to see how much better bus services can work without the state government touching it though, we now have 2 examples. need to view this precedence taking place and same with the indoctrinated steering wheel attendants you created. Even with 1.5 doors, the bus soaked the crowd like a dream compared to the actual bus industry. 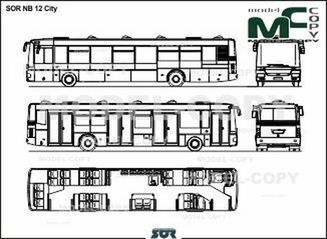 Next, we'll see truly private buses like this ordering full low floor throughout buses from overseas with at least 2.5 doors with a single leaf at the back or even a low entry with a stepped single leaf back door as a stop gap and a "step" towards three door genuine low floor. rogf24 wrote: I agree, the single leaf centre door and single queue really kills it, the all-door boarding was great but those other 2 things really reduced the benefits. I don't think the Blue Emu gets really busy so this is probably the best example of an intensive all door boarding service in NSW. It's great to see how much better bus services can work without the state government touching it though. Absolutely. Only correction to what you say is that the Blue Emu is regularly overwhelmingly busy and unfortunately even three-door entry/exit doesn't save it from its crap interior layout once you get inside. The high floor at the back with its huge steep stairs effectively compresses the usable passenger space to the first 8 or 9 metres of the bus and it should have the luggage rack split into two, opposite both doors 2 and 3 because if you move away from where your bag is you can't get to it to get off because of the dense crowd getting on at the previous terminal. I guess maybe I've never used it during a busy time. Those Blue Emu steps are really steep though, could have made it 3 steps instead of 2. I also have a feeling that those Carbridge buses are shorter than 12.5m for some reason. Maybe it's because there are only 4 rows of seats at the back (compared with 6 on normal buses) and the low-floor area sze feels about the same as on a regular 12.5m bus. rogf24 wrote: I guess maybe I've never used it during a busy time. Those Blue Emu steps are really steep though, could have made it 3 steps instead of 2. I also have a feeling that those Carbridge buses are shorter than 12.5m for some reason. Maybe it's because there are only 4 rows of seats at the back (compared with 6 on normal buses) and the low-floor area sze feels about the same as on a regular 12.5m bus. I think the vertical compartment containing the batteries at the rear foreshortens the interior dimension somewhat. A bit hard to get a persepctive on the actual dimension from the outside under all that blue wrap! Well, at least it's some progress from NSW! But you know what would make it better? 2 doors. Or maybe even 3 doors on a fully low-floor chassis. I still can't believe no-one has tried making a rigid RHD chassis that can handle 3 doors. Last edited by Bus Suggestions on Thu Nov 15, 2018 10:53 am, edited 1 time in total. Don't you mean RHD? It's already possible to get three doors with two of them between the axles, like the Carbridge Toro. The challenge is to get the third door behind the rear axle to eliminate any caves inside the bus. Fully low floor is a no brainer now but most operators/agencies other than PTV don't understand the need. Last edited by tonyp on Thu Nov 15, 2018 4:10 pm, edited 1 time in total. Italy had three door high floor Ivecos when I was in Milan in 99 with full all door entry and exit. It never struck me as unsafe or weird even though I had never seen it before. It struck me as sensible. tonyp wrote: Don't you mean RHD? It's already possible to get three doors with two of them between the axles, like the Carbridge Toro. The challenge is to get the third door behind the rear axle to eliminate any caves inside the bus. Fully low floor is a no brainer now but most operators/agencies ither than PTV don't understand the need. I thought that TfNSW was now mandating all double-leaf doors for metropolitan contracts (according to Daniel some time ago iirc). Even in faraway Nowra the new artics were required to have three double-leaf doors, so maybe outer metro too? However as far as Baylink is concerned, this is a private charter and Telfords and the developer can presumably do whatever they want. In Fleetlists the three CB80s seem to have been ordered just recently specifically for this route by Telfords and they would have had the opportunity to assess what was required for the growing demand, which makes the choice of single-leaf a surprising decision. it takes a rather long time in that video at Rhodes before anyone actually gets on the back door. Anyway, it seems a bit pointless to worry about 10 or 15 seconds, when the bus will spend two of the next six minutes stationary at traffic lights. It seems to me that the crowd is taken by surprise by the back door and initially doesn't know what to do, no doubt being conditioned zombie-like into the State Transit way. These Pavlovian issues of behavioural psychology are quite serious and it takes some time for people to be cured of preconditioned behaviour. Melbourne tram drivers still occasionally tell of people who rush from a distance to board at the front door some 40 years after a brief experiment with passenger-flow boarding was abandoned! A story I loved was a lady who had moved from Bondi, where she caught the tram, to Northwood and on her first day out she went to catch the bus and stormed the door when it arrived, as she was accustomed to, only to be greeted with cold looks and tut tuts from the other boarders who'd been waiting in an orderly queue. I don't know that Wentworth Point area but it sounds like there should be some traffic light priority for the bus.